Imagination TV… same actors – different movie ! You can put new tires on your car, but if it has frame damage and needs an alignment… the tires will still wear just the same ! Although the company name has changed, and the ticker symbol will change… it’s still the same CEO, Mr. Steven Samblis. Like they say… doing the same thing over and over and expecting a different outcome, is simply insanity. 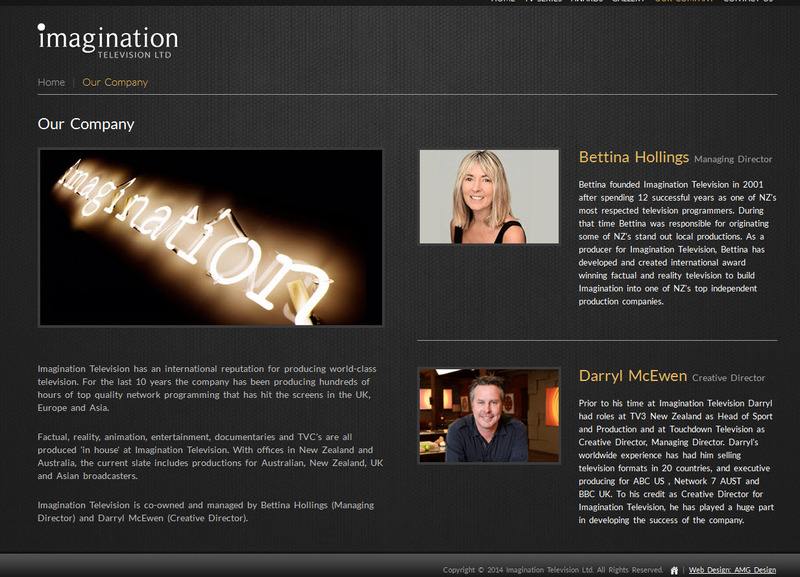 If you care to check out the company’s new website, here is a graphic of Imagination Television. Link here. Oh… wait… that’s the REAL Imagination TV that has been in business for over 10-years. Wait… what… did Mr. Samblis hijack the name of the REAL Imagination TV? If so, that’s not using his “Imagination”, that’s… well, something else. Folks… don’t be fooled. This appears to be an attempt to throw some new paint on that old junker with frame damage. You can reliably predict the tires will be bald just a fast as the last set. Maybe its time to get a new ride. Something with some class, some speed, some luxury, and most of all… good looks ! After all… bald tires just don’t look good ! Many say how anyone could consider this company as part of their investment portfolio just boggles the mind. Hopefully, anyone thinking about investing in this company will do at least 5-minutes on Google to research Mr. Steven Samblis, IC Places, Inc., and their history. There are those that say IC Places, Inc is not a real company, simply a stock selling machine to keep Mr. Samblis in the lifestyle he is accustomed to, and it appears they may be correct. So… rinse and repeat. Mr. Samblis carries on with a little breathing room to attempt to sell some more stock. The PPS will likely fall to .0001 even quicker than it did after the 3/27/2014 split. Well, look on the bright side… long time investors probably were not hurt, because they were likely wiped out on the last reverse split just 7-months ago. But… as the count on reverse splits climb… so does the count of burned investors, and every one will be following closely to warn any new potential investors of the history of this company. One wonders what the future holds for Mr. Steven Samblis? Give us your thoughts. Leave a comment using the link above. Well folks, it seems as though controversy can find Mr. Samblis, CEO of IC Places, Inc. just about anywhere. Coincidence or deserved… you be the judge. We came across this bit of information by happenstance. Please refer to the 2 graphic illustrations below. It appears this has been an ongoing situation for some time, dating back to what appears to be 2007. 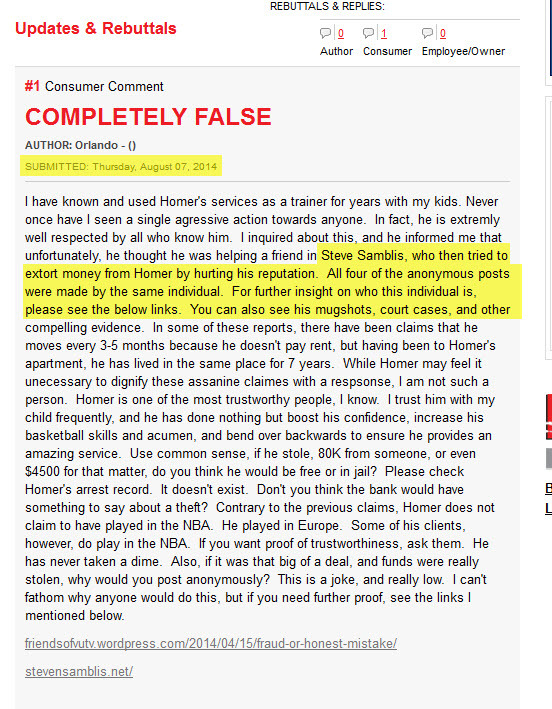 However, if you notice the rebuttal date, its August 7, 2014, a little over a month ago. (click to enlarge) Here is the link to the original info. Now, if you look at the graphic which lists the 4 complaints, you may notice a pattern in the geographical area the complainant indicated they were from. See anything familiar? It seems to lend credence to the rebuttal poster’s claim that it is the same person. Which leads us to another “coincidence”. It is the opinion of many that Mr. Samblis has been using false aliases on investment message boards since his company’s stock value has plummeted to next to zero. If the rebuttal poster is correct in their assertions that it was the same poster that posted the 4 individual complaints… it appears the use of bogus aliases is something Mr. Samblis may be familiar with as far back as 2007. Interesting, right? Now, you need to ask yourself… is the rebuttal poster creditable? 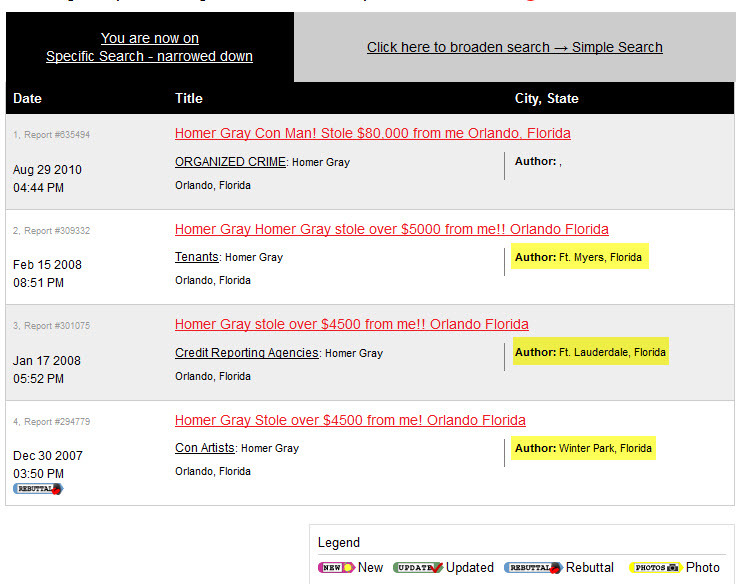 Well, it appears they are intimately familiar with the situation, and Mr. Homer Gray. Someone who has no first-hand knowledge of the situation would unlikely go into such detail in such a rebuttal. It would appear the rebuttal is creditable by most standards. Although this appears to be an old situation, it appears it is ongoing judging by the latest complaint date of 8/29/10, and the rebuttal dated 7/7/2014. Also its interesting to note that in the complaints, the amount keeps increasing, as if the complainant needed to aggrandize the amount in relation to the vindictiveness they are apparently exhibiting. So folks… you have the information… you be the judge. Perhaps either the rebuttal author, or Mr. Samblis, will contact us to set the record straight. We would welcome the input from either.